Illustration 2. Recovery of the triangular fish trap. 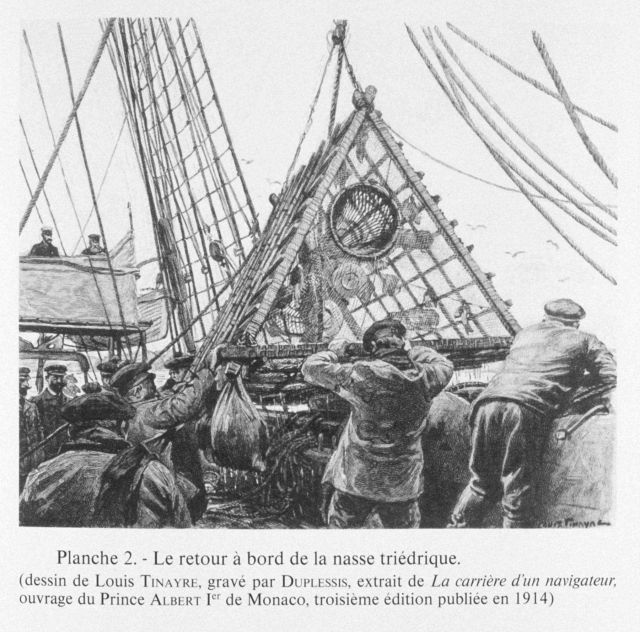 Drawn by Louis Tinayre and engraved by Duplessis; taken from “The Career of a Navigator”, the work of Prince Albert I of Monaco, third edition published in 1914.